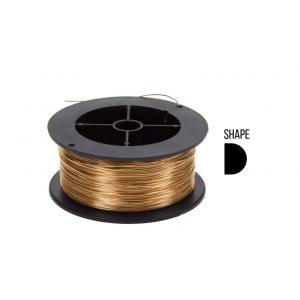 Gold Filled Red 5% 12K Half Round / D-shape Wire 3mm x 1.5mm. ..
Gold Filled Yellow 5% 12K Half Round / D-shape Wire 3mm x 1.5mm. Please be aware that additional..